The Shots Trust are delighted to announce the launch of their first ever Shirt Auction, designed to raise additional funds for Gary Waddock’s playing budget through the “Boost the Budget” initiative. 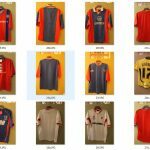 Starting today and running to Friday 2nd February at 12 noon, a total of 27 historic and in some cases unique shirts will be listed for auction via a specially created board on the popular fans forum, ShotsWeb. This was all made possible by the generosity of two families who each donated a large batch of shirts to support the work being done this year to increase the funds available for First Team players. 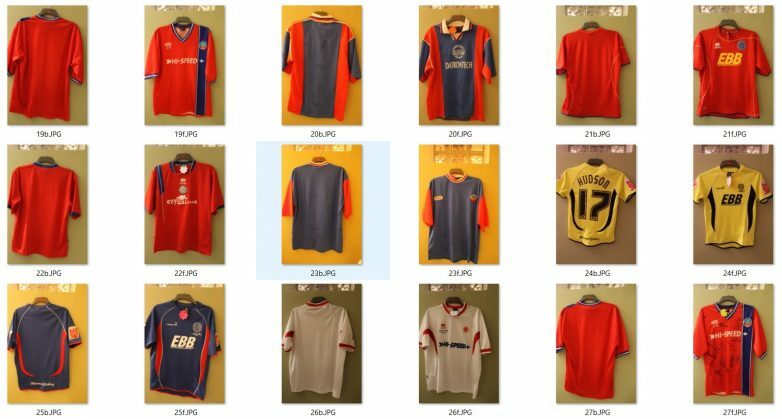 The Trust have worked with Shots Shirt expert Mike Scott to date, photograph and catalogue the shirts. ShotsWeb was then chosen as a known platform for Aldershot fans and also offered a way of running the auction that meant no money was expended on fees (such as ebay and paypal). The auction can be accessed via: http://www.shotsweb.co.uk/phpbb/viewforum.php?f=3 where all the rules, details and photos are posted.